CLEVELAND -- "I'm in the mood for love, especially when a Titleist is near me." Is that how the song goes? That's how diehard golfers hear it, anyhow. Put romance and golf together and you get -- disaster? Well, maybe to some, but there are couples who have found a way to mix the two successfully. The key is finding the right course. Every course fits one group of individuals better than another. Some courses are more suited to packs of testosterone-laden men who get their kicks from drinking mass quantities of beer and jousting with 3-irons. Other courses fit those who take the game more seriously. Still others satisfy those with a penchant for bird watching. You get the picture. And then there are courses for lovers. That's right. 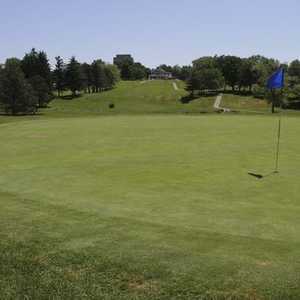 Whoever thought 6,500 yards of turfgrass with 18 holes in it could be such a powerful aphrodisiac? But it's true. Just ask the following Cleveland couples who have played a ton of golf together and have determined where they would go for their perfect romantic golf getaway. Michael and Joanne Walker of Westlake, Ohio are certified golf nuts. They've been golfing together ever since they first got married over 20 years ago, and whenever they go on vacation there's always golf involved in some way. They lived in Pinehurst, North Carolina for seven years, so it's no wonder their heart is still there. But Pinehurst Resort is not where they would seek romance. "The place we'd love to go for a romantic getaway is Pine Needles," says Joanne Walker. "The lodge is rustic and features big fireplaces, and it's located in a heavily-wooded area. It's just a very intimate setting." Designed by Donald Ross, Pine Needles is located in Southern Pines, North Carolina and has hosted the 1996 and 2001 U.S. Women's Opens. The accommodations include Swiss-style lodges, most notably the Ross Lodge Suites which feature (insert seductive purring noise from a wildcat) private parlors with a fireplace and wet bar. But the Walkers have more reasons to pick Pine Needles than romance as their golf vacation destination of choice. When it comes down to it, the golf is important too. "It's really cost-effective because they usually have a lot of special golf packages, and the price is all inclusive," Joanne says. "In addition, when you go to a resort, you normally get paired up. At Pine Needles, they don't do that." Another place the Walkers would pick for a romantic rendezvous is The Breakers in Palm Beach, Florida, which features the Ocean Course on-site and The Breakers West Course 10 miles away. "The Breakers West Course is wonderful, and the staff caters to you and pampers you beyond belief," says Joanne. For Don and Mindy Moczulski, there's only one place to go for a dreamy, romantic golf getaway: Myrtle Beach. The cuddly couple has gone to Myrtle Beach for golf and love practically every year of their 10-year marriage, and they'll continue to go as long as they can still hop in a cart and swing a club. "There's just such a great variety of courses to go and play, the choices of restaurants and nightclubs is outstanding, and the people are so friendly," Don Moczulski says. "At night, if you go to a restaurant and get a window seat, you can often see shrimp boats coming in against the backdrop of the sunset." Among the hundreds of courses in Myrtle Beach, there's one that stands out as the Moczulskis' top romantic golf destination: Myrtle Beach National. Don says wife Mindy particularly liked the North course, which isn't surprising as it was named to the "Top 100 for Women" by Golf For Women magazine. 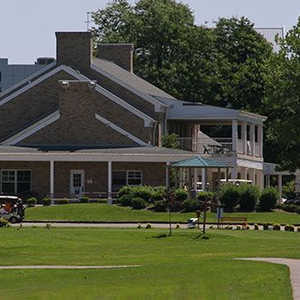 The Moczulskis also enjoyed Pine Lakes International Golf Club. Perhaps it was the mimosas and seafood chowder they were served on the course that acted as aphrodisiacs. Or maybe it was the staff that wear traditional Scottish attire that got the Moczulskis steamy. Wait a minute - big, sweaty guys wearing dresses and no underwear? Uh, maybe not. One place the Moczulskis would love to visit one day for golf, Grey Goose and Godiva is Hawaii. So far, though, the dream, unlike Myrtle Beach, has been cost prohibitive. "We like to keep it in the mid-range budget," Don says. "That's the nice thing about Myrtle Beach -- you can play a course for $50 or $200, take your pick."